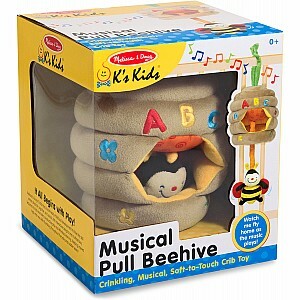 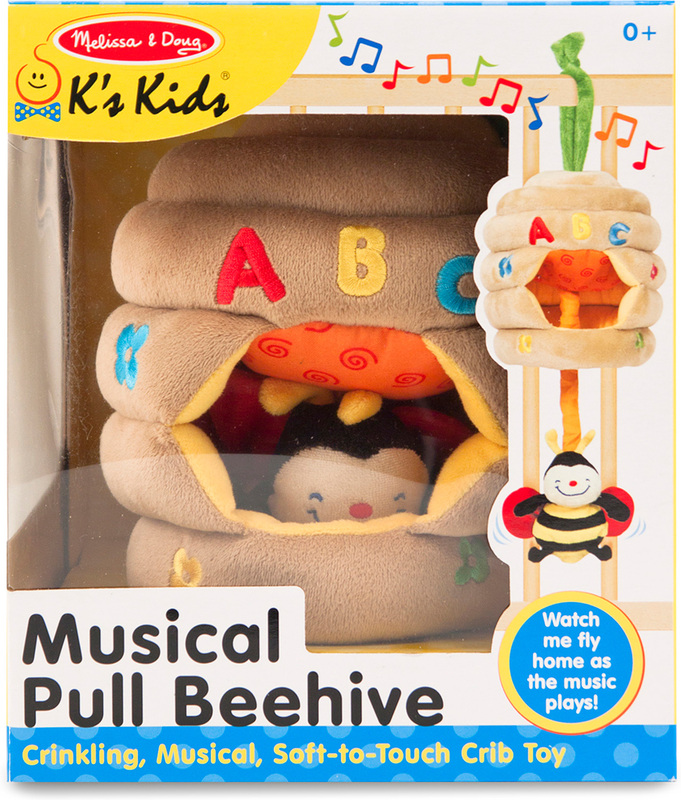 Pull the bee and treat the senses to a symphony of music and motion! A sweetly smiling bee, featuring eye-catching stripes, cuddly soft fur, and crinkly wings, peeks through a cutout window in the softly padded hive. 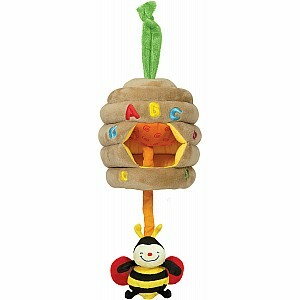 This appealing character captures attention on both tactile and visual levels, encouraging babies and toddlers to focus upward, then grasp, reach, and pull to bring the bee toward them. Then little ones can watch and listen with delight as the bee "flies" back to its hive and the music plays! 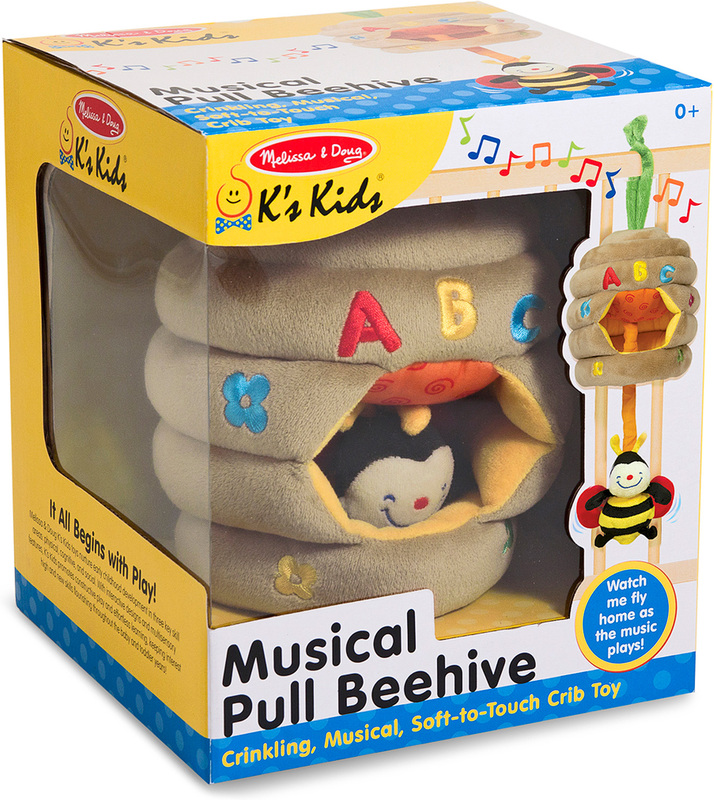 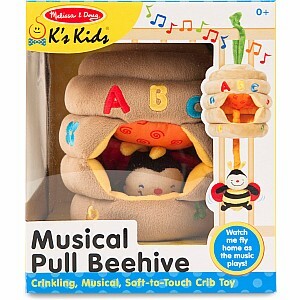 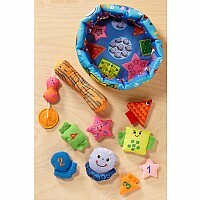 Musical Pull Beehive attaches to a crib railing or play yard, keeping a delightful sensory and motor-skills activity close at hand-a good thing, since babies will be eager to hear the pretty melody play again and again as developmental skills grow! 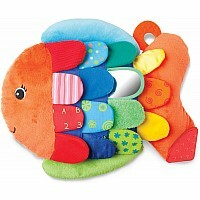 Measures approximately: 7.50 x 7.50 x 8.90 inches..